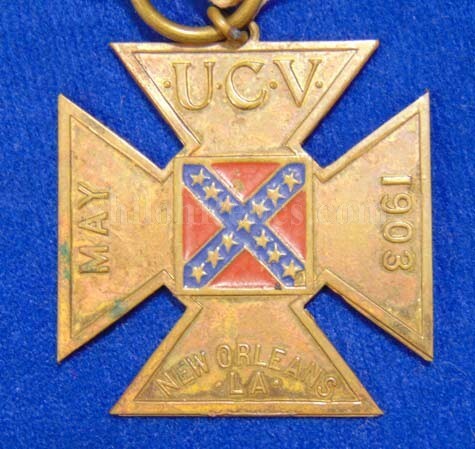 This is an original reunion medal for the United Confederate Veterans that was held in New Orleans on May 19th 1903. 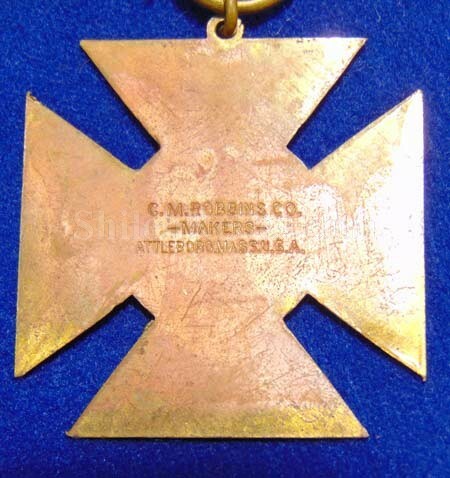 On the top bar it has the word "SOUVENIR” displayed in bold letters. The original pin is missing from the back of the top bar. 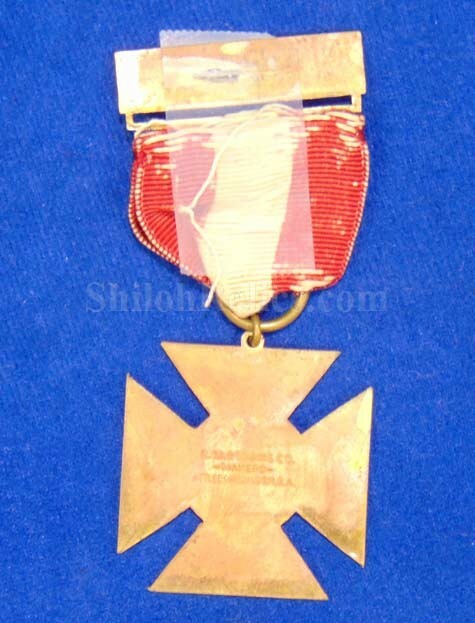 This one still has the original red and white ribbon intact. 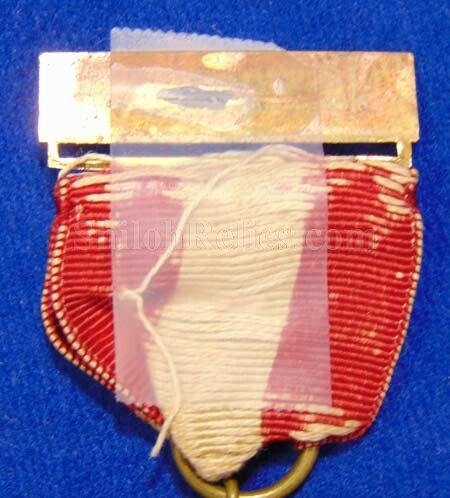 but it is frayed and has been reinforced with a piece of tape. 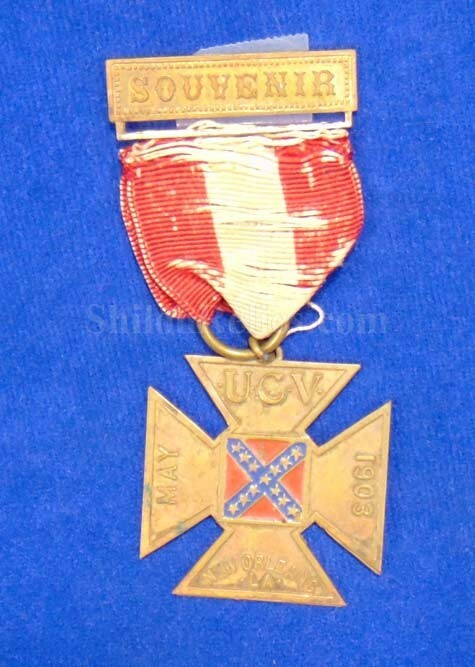 On the medallion itself it has the Confederate battle Flag crossed and around the edge it has "NEW ORLEANS, May 1903” and "U.C.V.. On the back it has the maker’s mark of the famous maker of the Robbins Company in Attleboro, Massachusetts. A nice piece for the price.